Rodent Control can be extremely difficult to exterminate or trap. Rodents are known carriers of many diseases and can prove a health hazard to humans. Rodent control is best started prior to infestations. Rats and mice are a common problem and it is best to get a pest control company to find a solution that suits you. Keep any possible food sources away from rodents. Small crumbs, uneaten dog food and garbage are popular sources of infestation. These should be kept in sealed metal or glass containers to prevent contamination. Fruits and vegetables should also be stored properly, and resulting waste should never be left in sinks or on counters. Cardboard objects prove attractive to rodents, as they tend to chew them up for use in their nests. Rodent populations grow very quickly so time is against you. Think of the health of your loved ones. It is best to get rid of them when populations are small before it becomes an infestation. Rodent control – Rats and Mice tend to enter homes through very tight spaces. There are many ways to get rid of them, however it might make your home look more of a mess and unsanitary than anything else. Think of the size of a R1 coin. 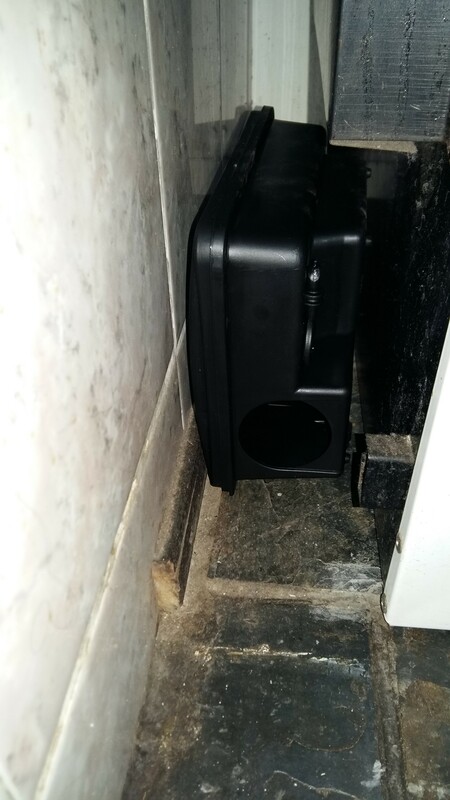 That is all the space a rat or mouse needs to enter your home. Norwegian rats nest in underground burrows from which they enter residence looking for food. They hide during the day time and tend to come out when it is dark and quiet. Norway rats feed on a variety of food sources such as meats, fruits, grains, and they are capable of catching small fish. They require a water source to drink, and they build nests as close to the water source as possible. Cleaning up after or to prevent rats and mice is a tough task. Rat and mice urine and droppings should be handled with gloves and can be thrown out with regular garbage in tightly sealed bags. When cleaning areas where rats and mice were found, do not sweep or vacuum since dust can contain dried rodent urine, droppings and nesting material and you could breathe it in. Use a face mask and a wet method of cleaning (e.g., wet clothes or mops with a bleach mixture of 9 parts water to 1 part bleach).